The Peninsula Co op recently donated $5000 to our school programs at the Nature Centre! That means over 350 students from the Valley will learn about their watershed and its marine residents through hands on activities based in Cowichan Bay. 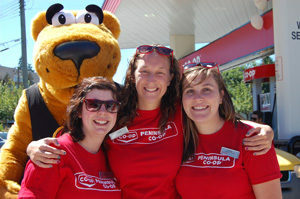 We thank the Co op for their dedication to building a solid future for our kids by giving back to their community!